The rumors are true. 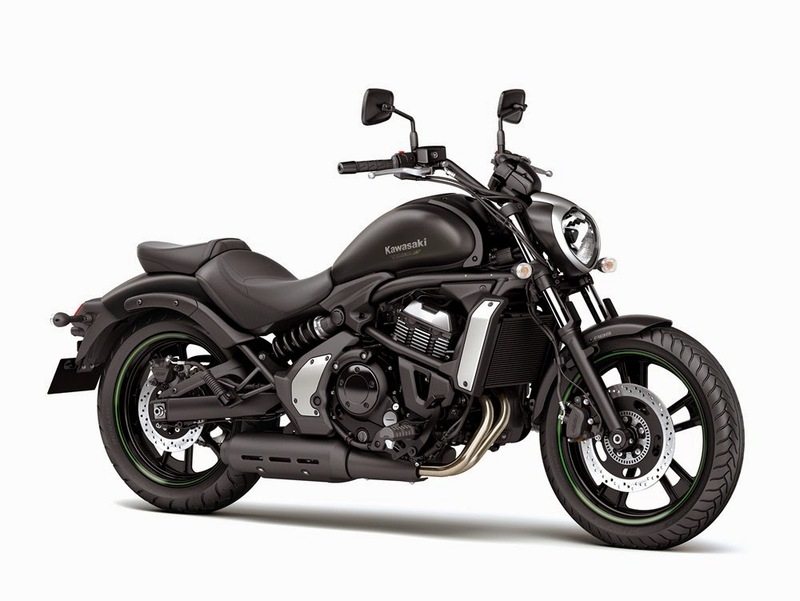 Last month Biker News Online reported on speculation of a forthcoming 650cc Kawasaki cruiser; we now know that bike to be the new Vulcan S.
Announced this week at the AIM Expo in Orlando, Florida, the Vulcan S carries the same liquid-cooled parallel twin as the sporty Kawasaki Ninja 650 and the adventure-styled Kawasaki Versys. In its guise as the powerplant for the Vulcan S the engine has been detuned to give it a little more oomph in the low and mid range. This new cruiser seems to be an obvious candidate to serve as direct competition to the Harley-Davidson Street 750. Both machines have liquid-cooled engines and both produce roughly the same numbers. Kawasaki says the Vulcan S will deliver 61 hp and 46 ft.-lbs. of torque. The Street 750, meanwhile is said to deliver 57 hp and 44 ft.-lbs of torque. Unlike the Street, the Vulcan S has optional ABS, which, along with the bike's space-age headlight and LCD dash make for a more modern interpretation of the cruiser motif. Adding to this modern thinking is an exhaust that has been placed under the bike, which Kawasaki says will help to keep center of gravity low and allow that much more lean angle, so a rider can take advantage of the engine's sporty heritage. Perhaps most notable about the Vulcan S, however, is how much effort Kawasaki seems to have put into ensuring it is a machine that can suit the individual tastes of a wide range of riders. Both the foot pegs and seat can be altered to accommodate riders of all heights. These ergonomic adjustments will be performed for the rider at no extra cost at the dealership. Kawasaki says it will also offer a number of accessories for the bike, including screen, saddle bags and passenger backrest. The bike is expected to reach U.S. dealerships by March and will carry a price tag of $6,999, or $7,399 with anti-lock brakes.